Casement windows from ABC Seamless Home Specialists are made from premium-grade vinyl and will not warp, rot, or crack over time. This also means that they won’t need periodic sanding, refinishing, or any other tedious upkeep, so you can spend more time enjoying their beauty than trying to maintain it. 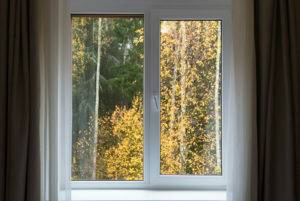 The weather can fluctuate drastically in Oregon, WI, so it’s important to invest in energy-efficient windows. Luckily, we offer windows that are ENERGY STAR® certified and will help keep your home warmer during the frigid winters and cooler in the sweltering summers. This will reduce the strain on your HVAC system to maintain comfortable interior temperatures and potentially lower your energy costs. Furthermore, when you turn to ABC Seamless Home Specialists, you can trust that our highly experienced and skilled professionals will install your casement windows properly to ensure they function as intended for many years to come. To learn more about the casement windows we offer to homeowners in the Oregon, WI, area, contact ABC Seamless Home Specialists today. We would be happy to schedule your in-home consultation.